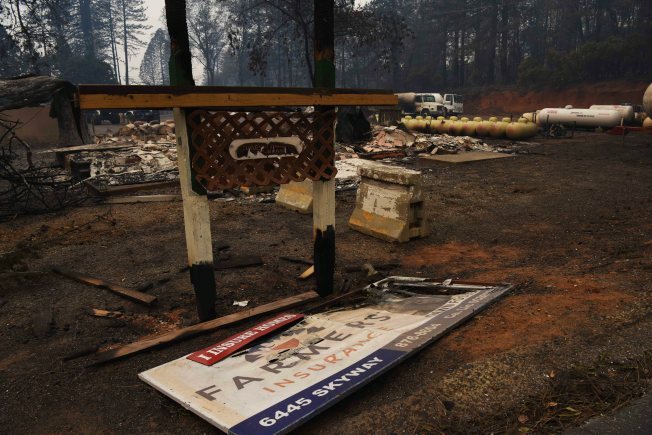 "We were 100 percent intent on rebuilding in Paradise"
The city issued the first permit Thursday to Jason and Meagann Buzzard, who said they never intended to leave the town of 27,000 people that was 90 percent destroyed by the Nov. 8 fire that killed 85 people. "We were 100 percent intent on rebuilding in Paradise," Jason Buzzard said. "It's home. I was born and raised there. My wife was born there and so was my daughter." Buzzard said he and his family hope to move into their new home by Christmas — but he has learned to be patient. The first contractor he hired quit after a few months and initial building plans were rejected by the city. "The process was very long. I equated it to a full-time job," he said. "There were a lot of setbacks along the way." On Friday, Colleen Corners said she and her husband picked up their permit to start building on their property. "We are excited and fortunate," Corners said. "There are still lots of people struggling to just get their insurance straight. There's still a lot to do and lots of patience is required." Several retail establishments have re-opened and the town is showing signs of life, she said. "We have a grocery store, hardware store and auto repair shop," she said. "Everything a small town needs." 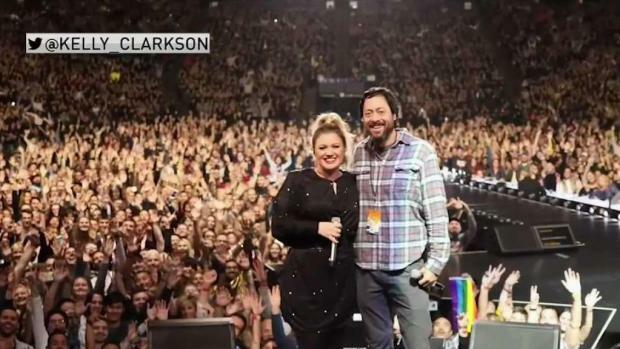 Kelly Clarkson’s “Meaning of Life Tour” made a stop at Oracle Arena in Oakland on Thursday night. Still, Corners and others say the rebuilding process has been slow and hampered by hazards and hurdles that include contaminated drinking water in some neighborhoods. Officials with the town's water district have said federal and state authorities will deliver 2,500 tanks of clean water for cooking, cleaning and bathing while contaminated pipes are replaced — a process that could take up to three years. Only one other property owner has been cleared to receive a building permit. 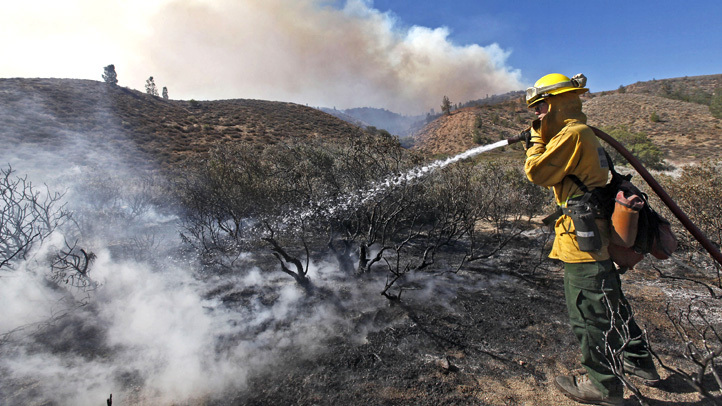 Twenty other applications are pending inspections by state environmental officials. Debris has been removed from an estimated 580 of the 11,000 lots where homes were damaged in the fire. Burned cars still line roadways. The Federal Emergency Management Agency said it is having trouble finding suitable sites for mobile homes to be used for temporary housing. Only 243 families had moved into the trailers as of March 1. 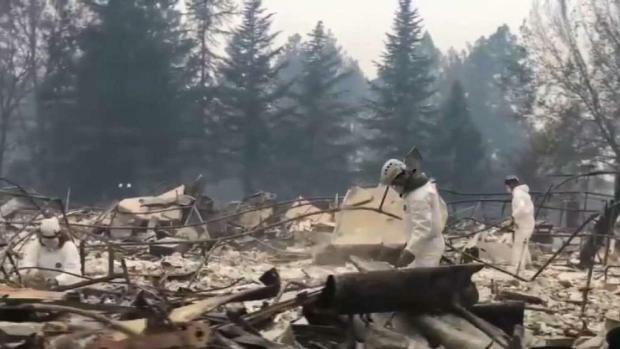 In addition, sheriff's officials have yet to positively identify 11 of the people killed in the fire because pathologists are having difficulty obtaining DNA samples from the badly decomposed remains. Nevertheless, construction crews have fanned out through the city and can be seen and heard clearing lots six days a week, weather permitting. After the first building permit was issued, Paradise Mayor Jody Jones announced that grants of $3,500 for owners of every damaged property were available to help pay for the permit process. Jones said she hoped the grants would encourage more applications. "This first building permit is a sign of the resilience and perseverance that our residents have in coming back to Paradise." Jones said. "The ball is rolling."